At first, there’s an orange glow sitting on the edge of the horizon. Nothing happens, yet. The night is still surrounding, still vanishing. All you can feel is the cold gnawing at your fingers. Even then, you wait. Crowds have gathered, holding their cameras and their breaths in anticipation. You move in closer, eager to see, desperate to feel. You worry that years from now you’re gonna forget all this, so you savor every moment. The rocky terrain. The thin, chilly air. The long, windy road you took to get here. And somehow, you already know the trip was worth it. What begins with a faint glow has turned into a shine, piercing through what’s left of the darkened sky. Now, you’ve always heard people say never to look at the sun directly. And yet here you are, mouth open and eyes wide, and the thought of turning away is far from you. You can’t. You’re much too fixated on the sheer beauty and wonder. Of course, you’ve seen this before. Matter of fact, you see it every day. You know how it moves and where it sets. 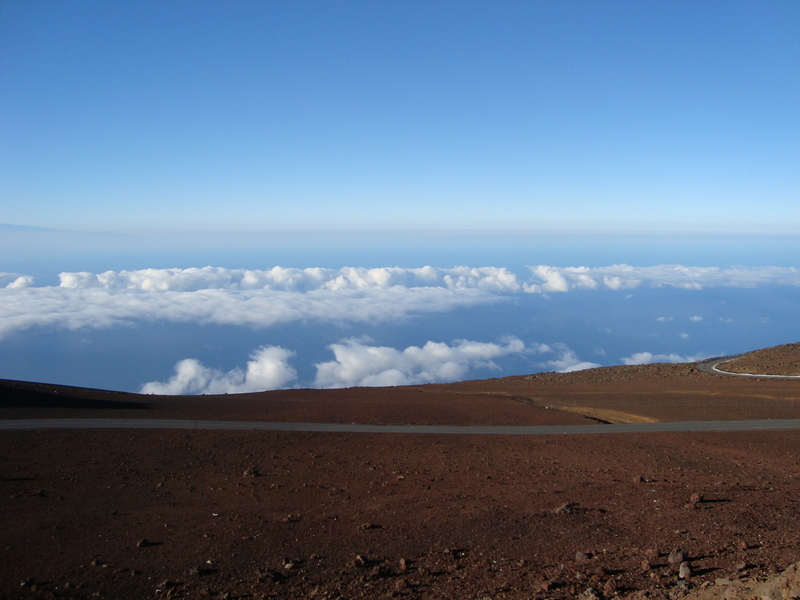 But as you stand at the top of the crater overlooking the entire island, the experience itself feels new. You look all around and see hills rising and falling, ending and beginning again. Down below you see the world, peaceful in its slumber. Up above you see the sun, bright and everlasting. You get it now. It’s this place. This is where the sun resides. This is where it truly belongs. 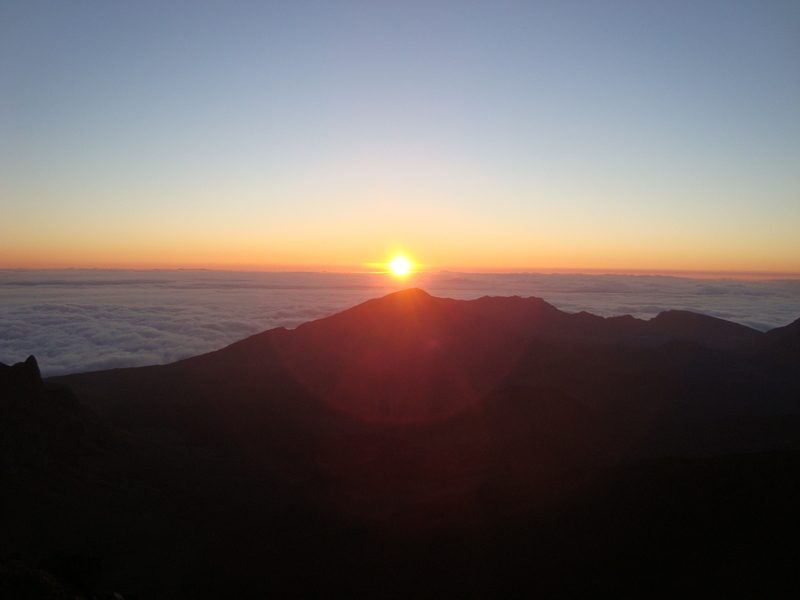 Legend has it that the demigod Maui ascended Haleakala volcano for the sake of his mother, Hina. Every day Hina made kapa from the bark of wauke and mamaki trees. Afterwards, she dyed the strips with the colors of the islands and then laid them out under the sun. Only problem was the short days and long nights, which made it impossible for the kapa to dry. So, she turned to the only man strong enough to face the sun: her own son Maui. 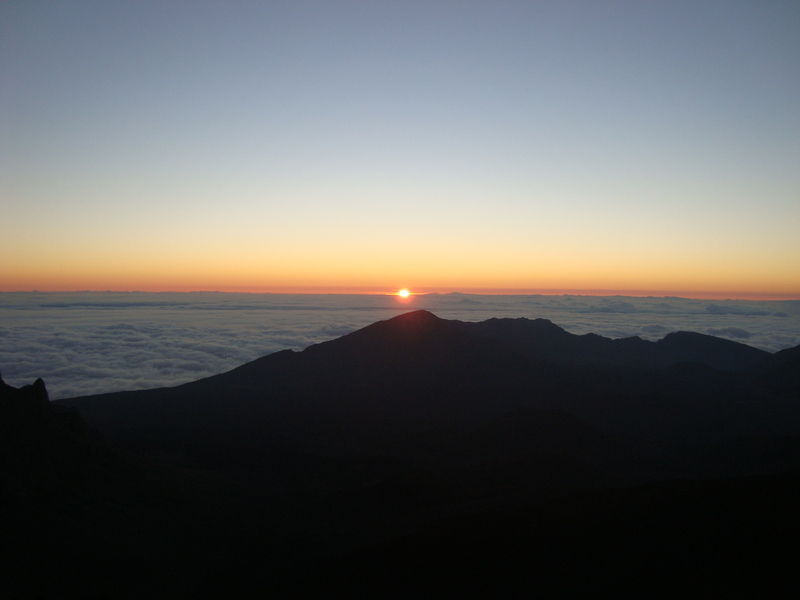 Determined, Maui climbed the perilous mountain and hid underneath its looming shadow, waiting until morning. Then, just as a small ray of sunshine peeked over the horizon, he quickly lassoed the sun and brought it to a halt using a wiwili tree as an anchor. Alone and helpless, the sun begged to be free. 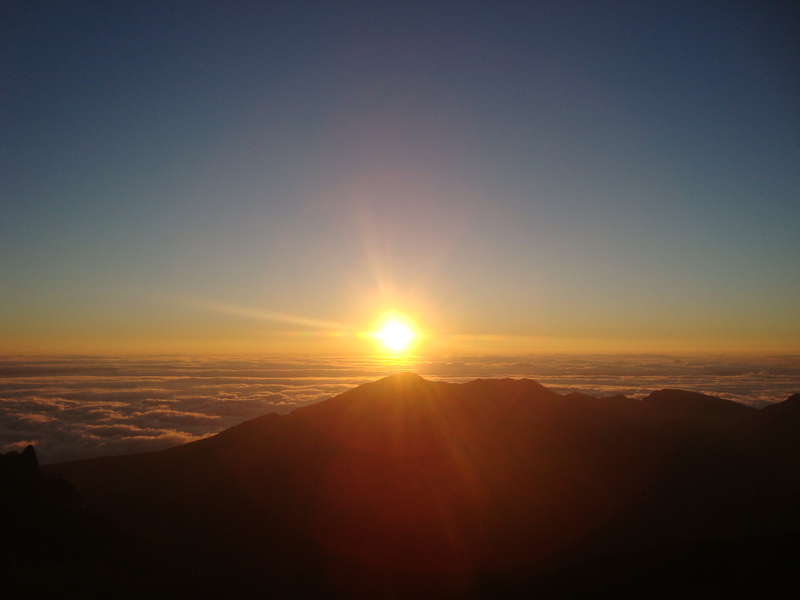 Maui promised he would let go only if the sun promised in return to slow its descent during the day. And so a deal was made; the sun would travel slower for six months out of the year, thus making the days longer in the summer, then resume its usual path in the winter. Maui fulfilled his end and released the rope, but kept the anchor tied on so the sun would always remember their arrangement. Victorious, Maui rushed home to bring his mother the good news. As a gift for his heroic feat, she made him a beautiful red cape and sure enough, it dried that very day. I, for one, am forever grateful for Maui’s sacrifice. Because of him, I get to stay at the beach that much longer and I can leave my clothes out to dry with some peace of mind. Oh the joys of living on Maui. The sun has come to mean a lot more to me than a pretty sight. It’s a reminder that this island is my home, my escape, and my solace. 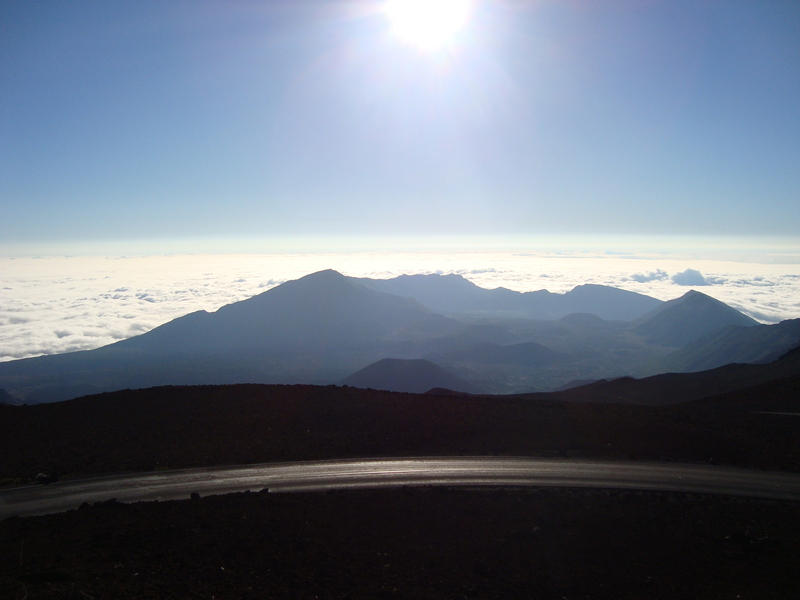 If you ever get the chance to visit Maui, I’d highly recommend a trip to Haleakala. Every day, hundreds of people go to see the sunrise or the sunset. 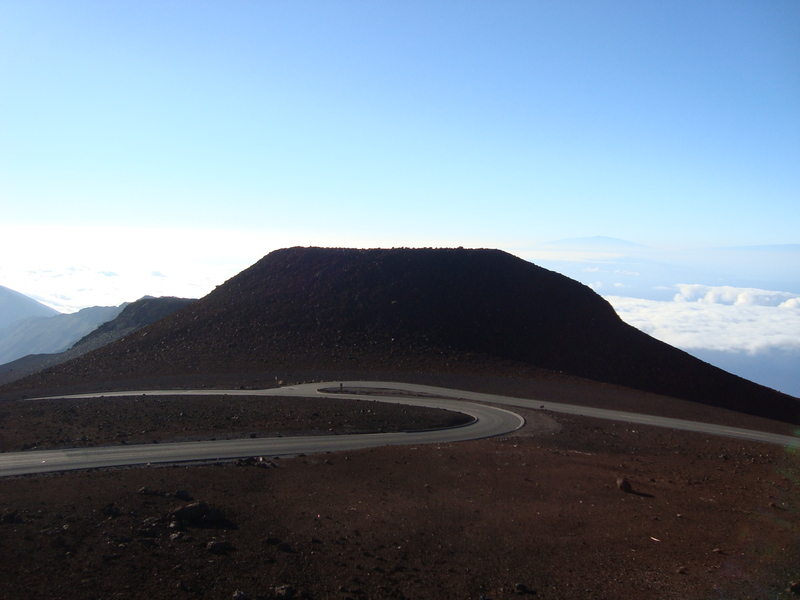 Some go to hike through the crater while others seek the exhilarating ride down the mountain. Whatever the reason, I urge you to go up there to be born again. All you have to do is take the journey upward and the sun will take care of the rest, I guarantee it. Soon, you’ll find yourself coming back to re-live the experience. A superb description, enlivened by the photos. Excellent post that took me to the place and showed me the meaning. wow that is a gorgeous view.